The new 2015 Nike Vapor Speed irons designed for pure power with modern muscle for incredibly longer distance shots for all players. The ultra-fast spring steel faces and modern muscle geometry allow for maximum ball speed and the purest feel. Nike Vapor Speed irons feature re-inforced hollow cavity long irons for superior forgiveness on off center hits. The RZN cavity short irons have a low and deep weighting system for high-flying shots you stick next to the flag. Nike Vapor Speed irons will improve your iron game and have you hitting more greens in no time. I'm very new to golf and these clubs are exactly what I was looking for. They're easy to hit and quite forgiving on mishits. Combined with the regular flex graphite shafts, these are giving me a noticeable difference in club head speed, and are easily helping me hit the ball 10-20 yards further than my previous set of 10 year old Cobras. Would recommend without hesitation to anyone looking for a long and forgiving set of irons. Carl's promises outstanding products and service, and, unlike most candidates, he keeps his promises. To exchange an item, Matt and Chad were prompt, courteous, and professional. 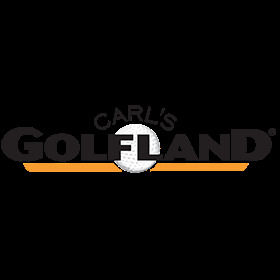 I heartily endorse Carl's Golfland!